As consumers we’ve been offered lots of “super” things over the years: Super men, super sizes, Super Bowls. But with Netflix’s Super HD, that promise was reserved for the elite—or those who get their Internet service via select ISPs, at any rate. On Thursday, Netflix opened the bit-filled floodgates to one and all, rolling out its highest-quality HD video streaming to anyone with the bandwidth to handle it. As Netflix describes it, Super HD applies less compression to its 1080p video streams, giving you a higher bitrate and better image quality. 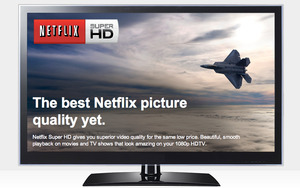 When Super HD first launched in January, it was limited to ISPs that adopted Netflix Open Connect, the company’s video delivery network. The initiative drew criticism from some ISPs and net neutrality advocates for its seemingly preferential treatment of Netflix content. At the same time, Netflix wrote that “we continue to encourage ISPs to adopt Netflix Open Connect” and that subscribers to those ISPs will “get the best experience” in its blog post on Thursday. 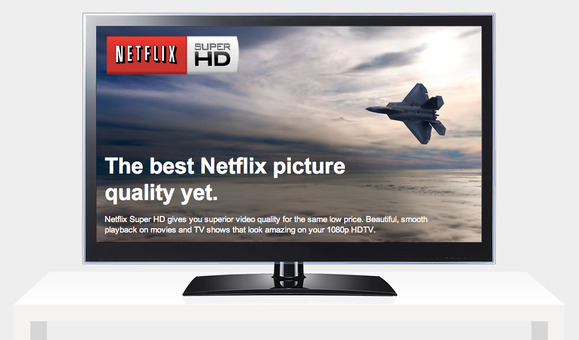 Super HD requires bandwidth between 5 mbps and 7 mbps. Thursday’s change also impacts Netflix’s small catalog of 3D content, although that will run you between 6 mbps and 12 mbps on bandwidth, and is much more limited in its device support right now.